Despite the fact that this can result in serious felony charges, the Florida Department of Highway Safety and Motor Vehicles (FLHSMV) reports there are approximately 92,000 hit-and-run crashes in Florida annually. These resulted in 19,000 instances of bodily injury – 1,200 of those serious. Pedestrians and bicyclists are disproportionately involved, with 1 in every 4 pedestrian accident resulting in a driver fleeing the scene. However, approximately 80 percent of all hit-and-run crashes result only in property damage. 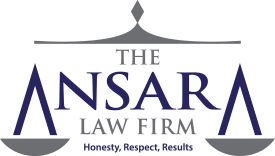 At The Ansara Law Firm, our criminal defense attorneys in Fort Lauderdale do agree with law enforcement’s characterization of a hit-and-run as taking the situation, “From Bad To Worse,” meaning a crash is bad, but fleeing the scene can result in much more significant penalties for a defendant. In fact, it could mean a first-degree felony – and up to 30 years in prison - for someone who takes off following a fatal crash. The good news is that with the help of an experienced hit-and-run defense attorney, the charges may be reduced or even dismissed. Even if the case results in a conviction, the presentation of mitigating circumstances by a skilled defense lawyer can often result in reduced penalties. Anytime there is a motor vehicle accident, the drivers involved have certain obligations they must meet before they can lawfully leave the scene. The extent of those obligations will depend on the kind of crash. Immediately stop the vehicle at the scene or as close as possible to it. Notify the operator or owner of the vehicle (or other property that is damaged) of the driver’s name, address and registration number. Show his or her driver’s license, if asked by the other party. Provide his or her license, registration, address and other information to investigating officers. In cases where the property that is damaged is unattended, the driver has to either locate the property owner and then comply with the law or else securely attach in a conspicuous place on the property written notice of the driver’s name, address and vehicle registration. The driver must then ALSO notify the nearest law enforcement agency of the crash. If it is obvious that medical treatment is required or if the other person requests it, the other driver is required to offer “reasonable assistance,” which may include carrying or making arrangements to carry the person to a hospital, physician or surgeon for purposes of medical treatment. If the other driver or injured person isn’t in a position to receive the information, it’s required the non-injured driver report the crash to the nearest police authority. It’s important to note these requirements apply regardless of whether who is at-fault for the crash. Often, determinations of fault are left up to the insurance companies or courts anyway (and even then, only after extensive investigation), so those involved aren’t necessarily in a position to say who was at-fault. That’s why the law requires these actions of all drivers involved. The punishment for leaving the scene of an accident in Florida will depend on whether this was a crash involving solely property damage or whether there was injury, serious injury or death. Accidents That Involve Property Damage: Second-degree misdemeanor, punishable by up to 60 days in jail, six months’ probation and $500 fine. Accidents That Involve Injury: Third-degree felony, punishable by up to five years in prison, five years of probation and a $5,000 fine. Accidents That Involve Serious Bodily Injury: Second-degree felony, punishable by up to 15 years in prison, with a possible fine of $5,000. Accidents That Involve Death: First-degree felony, punishable by up to 30 years in prison, with a minimum mandatory four years in prison. Possible fine is up to $10,000. Hit-and-run convictions in accidents that involve injury or death all include the loss of license for a minimum of three years. There are a number of defense strategies we may employ in Leaving the Scene of an Accident cases. It’s imperative to explore each of these, given the severity of the possible penalties upon conviction. Lack of knowledge that there was impact with another person or property. Even in the event that one of these defenses is not an option, this kind of a charge doesn’t necessarily have to result in a conviction. In some cases, early contact with prosecutors can result in negotiation of lesser charges or some other more lenient solution – potentially one that avoids a prison term. In all hit-and-run accident cases, defendants need an attorney. Even while the case is in the investigatory stages of the case, our attorneys can speak with police, prevent our client from making damaging statements to law enforcement and present certain facts to investigators in a light that would be most favorable to our client. When charges are pursued anyway, we can reach out to prosecutors to see whether a favorable plea agreement can be reached. In cases where prosecutors are not open to negotiation, our team will work tirelessly to ensure all available legal options and defenses are explored and our client’s rights are respected throughout the process.